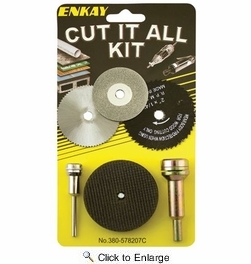 This kit has the blades you need to cut through virtually anything with your high speed rotary tool, drill, or die grinder. 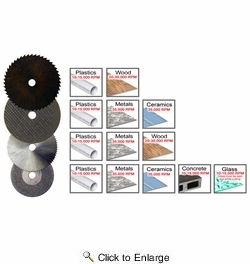 With this kit you can cut plastic, wood, metal, ceramic, concrete, and glass. 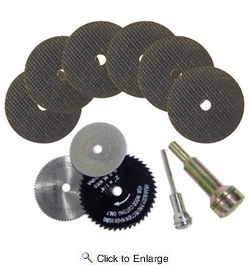 The two mandrels allow the cut-off wheels and cutting blades to be used with your high speed rotary tool, high speed drill, or die grinder.